Geoffrey Horrocks is Professor of Comparative Philology at the University of Cambridge, UK, and Fellow of St. John's College. 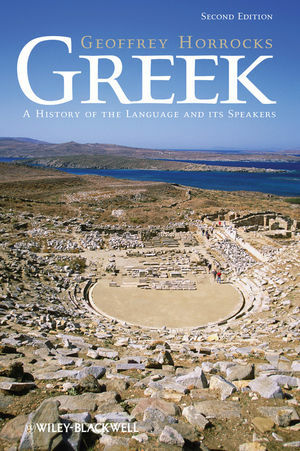 He is the author of many articles on the history and structure of the Greek language and has co-edited several volumes on themes and issues in modern Greek syntax. His previous books include Space and Time in Homer (1981), Generative Grammar (1987), Greek: A History of the Language and its Speakers (1997), and The Blackwell History of the Latin Languge (with James Clackson, 2007).